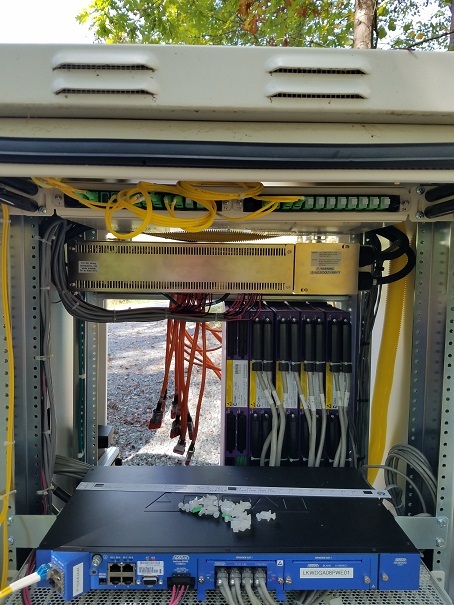 MADISON, Wis. (Oct. 27, 2017) – TDS Telecom (TDS®) technicians and network engineers are working now to install the core equipment necessary to improve broadband speeds and bring new services to Blue Ridge, Georgia and portions of Fannin and Gilmer counties. If all goes as planned, TDS hopes to have engineering and construction work completed by the end of December, after which customers will begin migrating to the new equipment. We anticipate customer migration will be completed by mid-year. Once complete, the broadband improvement project will impact thousands of locations in the area. This past spring, TDS began engineering and design work to improve their network in the area. The company is reporting now that construction work is underway and will be complete by next spring. Customers will see improved speeds during the first phase of the project and then even greater speeds and new products after Phase two of the project is fully complete. 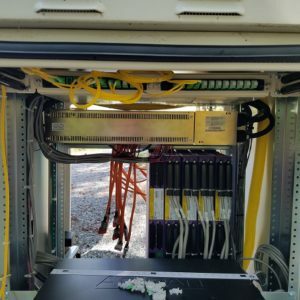 In January, TDS accepted funding from the Federal Communications Commission (FCC) to reach residents in some of the hardest to serve mountainous areas in Georgia. The funding is being used to maintain a voice and broadband network as well as building out to 2,532 locations. Hundreds of additional customers near the network upgrade areas are expected to receive improved service from this network upgrade project. Georgia residents can visit the TDS website to find out how this federal program may impact their location. TDS has been doing business in Georgia since 1989 and owns four telephone companies in the state. TDS employs about 50 people in Georgia. TDS Telecommunications Corporation (TDS Telecom/TDS®), a wholly owned subsidiary of Telephone and Data Systems, Inc., is the seventh largest local exchange telephone company in the U.S. and a growing force in the cable industry. TDS provides 1.2 million connections to high-speed internet, phone, and TV entertainment services in nearly 900 rural, suburban, and metropolitan communities. For residential customers, TDS deploys 1Gig internet access, IPTV service, cable TV options, and traditional wireline services. The company offers businesses advanced solutions, including: VoIP (managedIP Hosted voice), high-speed internet, fiber optics, data networking, and hosted-managed services. Visit tdstelecom.com or tdsbusiness.com.